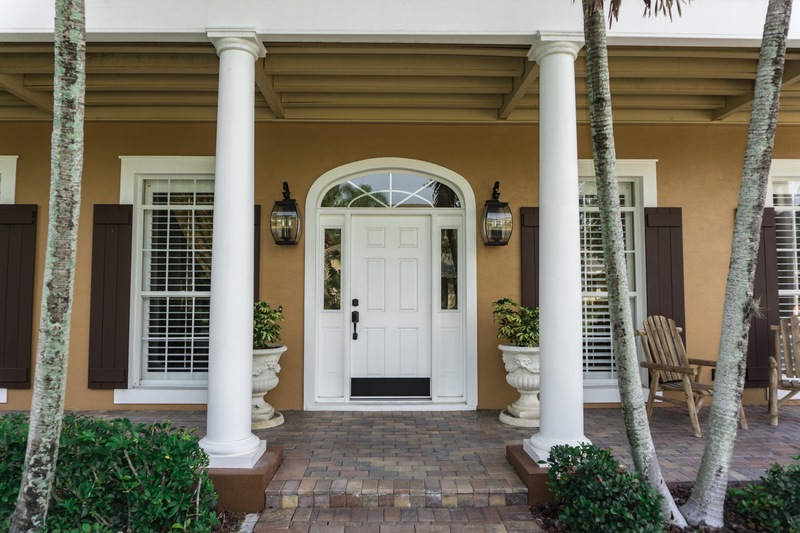 Want an easy inexpensive way to spruce up the front of any home? Add some fresh plants or flowering bushes to planters around the entrance way to give a pop of color. Sweep off the front porch and around windows and doors and take down any cobwebs or mud dauber nests. Make sure porch lights are working and are bug free and if needed invest in new lights to give your entrance way a fresh updated look. And finally add some furniture if there is room to make it more inviting. These simple things can make a big impact with very little investment. A great example is this home in McGregor Reserve in Fort Myers.